A while back, I went to a totally not embarrassing concert and mused about what the experience would have been like if I’d been able to “live-Tweet” during it. Would it take away from the experience, or would it add to it? At the time, I didn’t have a smartphone, so sharing the experience while it was happening was not an option. Well, now I have one, and after figuring out the basics I’ve managed to become a slight oversharer. 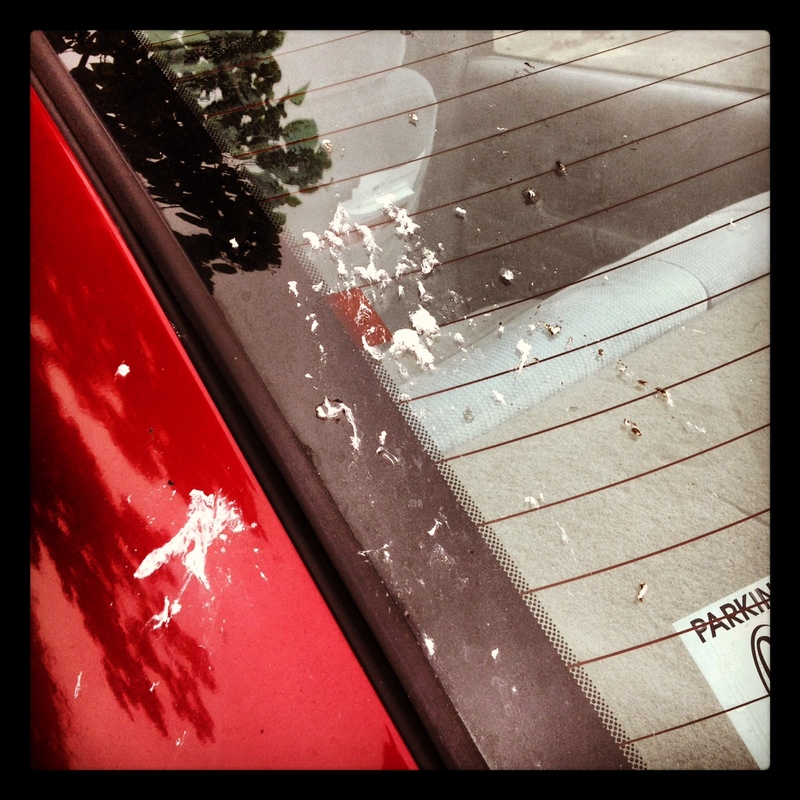 “I appear to have deeply offended a large bird.” Okay, a huge oversharer. I keep making vague promises to myself that I’ll settle down, but the honeymoon phase between me and my new friend Siri has overlapped with the start of summer. Like any true Minnesotan, I’m not about to let this all-too-brief season slip by. What people in less volatile climates do in a year, I’m going to try to do in three months. That’s not anything new; last summer, you may recall, I did plenty of things. The difference is now I can share my nonsense in real time. I think we can all agree this might not always be a good thing. Someone needs to invent a “Dog of Censorship” App ASAP. Instagram gets the save on this one. 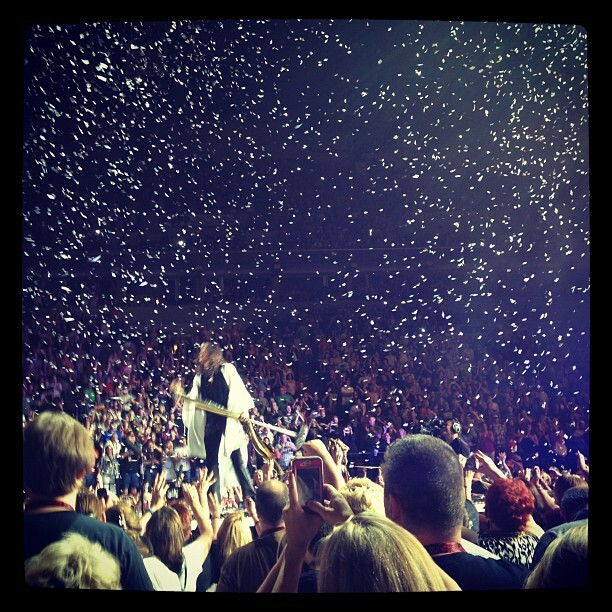 Some of that confetti is still in my purse. That (amazing) experience over, I thought I’d answered my own question about how I’d use social media at events. I’d managed to do some sharing while staying in the (really amazing) moment. And anyway, I’d blown my summer budget on that (really, REALLY amazing) ticket, so I didn’t expect to get the chance to try it out again for a while. Less than 24 hours later, I found myself enjoying some Trampled By Turtles from the comfort of the terrace view at Target Field. Since I didn’t know about the bonus concert until I got to the Twins game, and since I was an hour early for the game thanks to my pops, I had to share the news of my good fortune. 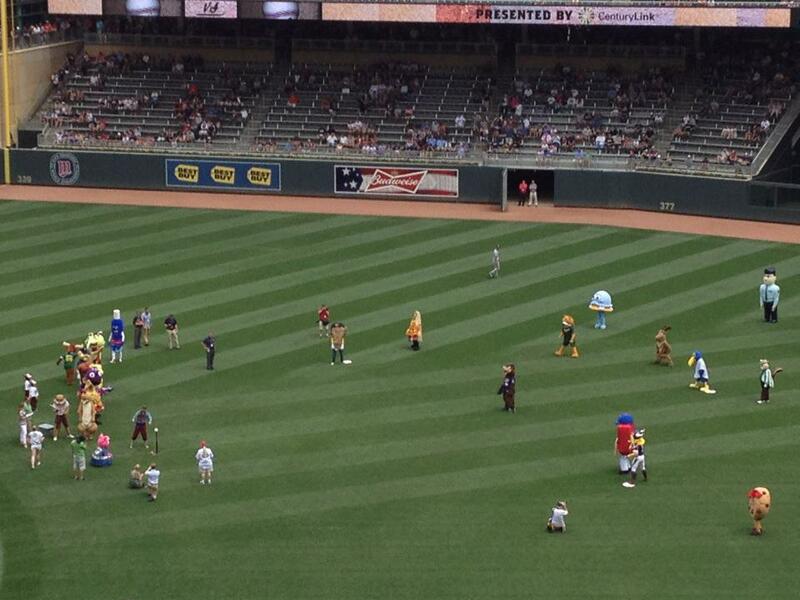 I was too disturbed by the presence of literally all the mascots to take a picture of TBT, however. After determining that “losing your mind to your favorite band” and “hanging out with your father” are not quite the right times to go live-Tweeting, social-sharing crazy, I struck upon a much better opportunity: the River’s Edge Music Festival in St. Paul on Saturday. 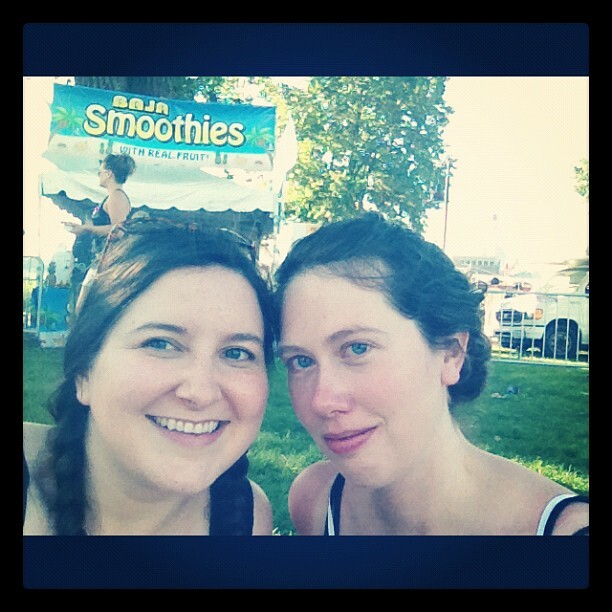 I managed to win free tickets* last week and took Lacy, another twenty-something with a smartphone, and we did it all. We admired the lead singer of Coheed and Cambria‘s magical hair. We blew our budgets on outrageously overpriced beer. We held a few inebriated souls upright in the Sublime with Rome crowd. We soaked in some much needed sun rays to the tunes of Blaqstarr. We lost our voices to Tool. We Facebooked, Instagrammed, Tweeted, sang and danced. We shared a wonderful day with each other, and then we shared jokes about it on the internet. And that, #youguys, is the best balance of social media and social life I’ve found yet. Just your average Tool fans. *I won 2 single-day tickets through a Twitter contest, which is awesome. However, the publication which ran the contest was non-responsive about how to get my tickets until two days before the concert despite three attempts to contact them, then they told me (twice) to pick up my tickets at will-call at the River Centre (which is a place in St. Paul, but has nothing to do with the River’s Edge Festival). Finally, the tickets, which were not at the regular will-call at the event either but rather at the media tent, were not for “either day” as promised, but for Sunday only. Luckily two very nice Live Nation employees took my declaration that “75 minutes of Tool is infinitely better than 3 hours of Dave Matthews Band” seriously, and switched the tickets for me. Despite this rant, I did get in completely free, so thank you, Live Nation; less of a thank you, publication with really poor communication/customer service skills.